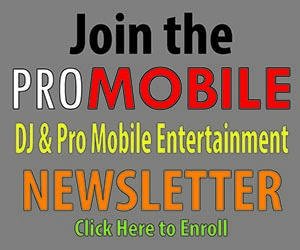 As a mobile DJ, you may wonder where to spend your advertisement budget on. There is a cornucopia of sites, expos, and other sources that will gladly take your money. But what is a good return on investment? Here are some sources I have explored with my business and hopefully this may give you some quality information to look at. I put this information out there with a big caveat. Every person might experience a different outcome. In certain areas, some websites might be in a better position than others. Some clients may frequent an expo more than another. 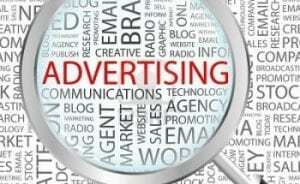 Your overall pricing may work better with different types of advertising than the other. All I can provide is my observations and yes I am going to provide my Return on Investment (ROI) figures to give you a real world example of what I have experienced so far. I am going to list these from the best investments for me to the worst. You will also see that I am listing some things that may be considered technology focused because it really is at the end about the appearance of you and your company. That, I feel, falls into the broader advertisement category. You pretty much cannot have a business without a website. And if you do not have a sleek web presence then it could do you more harm than good. So if you don’t have a web presence or it looks like it was created with FrontPage ’98, it’s best to put a major effort onto this or hire someone to do this for you. So what does 2015 have in store for me? I may invest in another WordPress template to keep things fresh, but I judge that as year goes on. Best have a good website with great content and a clean look. What good is a website if people don’t know you exist. Now you can certainly not invest a dime in SEO, and if you have a majority word-of-mouth lead generation source then maybe SEO investment falls to the bottom of the priority map. But for the burgeoning Mobile DJ, it will take some time to get to that stage where everyone knows you by name and is creating a constant revenue stream off of that. As you will see below, it’s hard to gauge exactly how much impact some sites that you may invest in has directly and indirectly on SEO for your site. I think there is a case to be made that for sites like The Knot and Wedding Wire that their page authority can have an effect if you have bought into even their most basic paid accounts. But if you are finding that SEO is a hard beast to tame (and it’s certainly not an easy task) then you might want to look into investing in a dedicated SEO service to help bolster your web presence. I’ve been lucky enough that my past experience in SEO and web design, along with a great web template for WordPress makes this task much easier than it was 10-15 years ago. But you will likely find that having a great web presence that ranks high on organic searches could be one of your best tools in your arsenal. Just remember placement takes time and quality content. So far I have been happy that I’ve placed on page 1 since mid-July 2014. I fluctuate between #3 and #7 and I can’t complain given the competition is really good. You don’t necessarily need SEO, but for most, it should be a critical element of your budget. One thing you should investigate is if you have any local websites that cater to your specific market. Here in the Hudson Valley, there is such a site and I do list there not only to draw in the occasional lead but also to help with SEO. These sites can be fairly low cost or even sometimes free. This by far is my highest ROI on any of my sources! Google AdWords can be a real hit or miss in advertisement investments. If you are not landing on the first page of organic searches then it may be VERY worth your while to invest in. But it’s hard to disseminate a paid ad versus and organic placement when asking a client how they heard about you. So many times the results are simply lumped into the same category. All that being said I get a lot of requests from brides and grooms through searches. I decided to experiment and eliminated my budget for AdWords after April 2014 and it did not seem to affect my incoming request traffic. But also at the same time, I was placing on the first page of my main keywords being searched on. I think AdWords can be quite effective if targeted properly but can also get away from you if you don’t keep a close eye on things. My advice would be to create little mini campaigns with different targeting criteria (ad types, regions, etc) to see what might be the most effective for you. AdWords/paid ads can be a good investment, but you have to be cautious not to overspend. I was very hesitant to invest in The Knot or Wedding Wire. Both services are quite pricey for what amounts to a linked site. Both have a tiered pricing model, providing a free listing, a basic listing, a mid-level, and a top tier. Wedding Wire goes a step further with a “spotlight” listing but basically was 4x the price of their top tier listing. Their pricing also is dictated by regional demand, so if you are in a highly saturated market expect to pay more. Having a listing at one or both of these sites can improve your organic Search Engine Optimization given their popularity. And it’s not like the sites are purely for SEO as I did get some quality leads. Also, both sites have a review section which a number of clients may look for to qualify your performance and value. As a pure lead generation option it’s a fairly pricey consideration. For a one year ad in my market, to have a featured Knot placement it is setting me back $2139. If I were to have a Spotlight ad on Wedding Wire was over $4000 when I last investigated their prices. I decided on The Knot since it was less crowded in my area’s DJ listings and more importantly, when doing keyword searches in my market it came up as top hits. I just recently invested in Borrowed & Blue in late 2014 so I don’t have much information to provide. I did get a lead from their free listing I had with them although that lead did not convert. They are in the same price-range as Wedding Wire and The Knot but they do have the added bonus that they can do quarterly engagements where it’s competitors require a full year of investment. It also appears that Borrowed & Blue may attract a higher class of client but I don’t have any empirical evidence of that (yet). When I had more data I will provide an update to the article. Now it’s a bit unfair to think of one of these two sites as a pure lead conversion source since there are other benefits of being on their sites, but it’s a major factor to consider. Given that I had only 4 converted leads from The Knot I may just drop down to a pro listing which is around $90 per month for my area. I am going to gauge what the early part of the year looks like. Not a fan of these pay-to-play sites. However, it may provide you with an SEO boost and some leads to boot. Be mindful if you invest your dollars in these sites. It’s time to mention one of the more old-school methods of advertising, the business card. The reality is you will likely not get much ROI from a business card, however, that does not mean you should not have any. This still is an important piece of your branding, especially when you are talking business-to-business exchanges. Just make sure you come up with a clean design that works well and conveys the exact message you need. You almost can’t not have a business card. Pick a clean design that conveys your message. You would think with the ability to create hyper-focused ads that Facebook would be a Wedding DJ’s dream. I had even heard some claims that some DJs were getting a lot of business from Facebook ads. So I decided to invest some money into it and literally came up with a single converted lead. So in 2014, I decided to take another stab at it. This time I created an even more focused group with no results. Lastly, I tried boosting a post and I got some likes on the post but little traffic to the site and no lead inquiries. Some people claim success with Facebook ads. I’ve yet to see any value out of it. As I was entering in my 4th month of business with Paris Creative (in the beginning of 2013) I was trying to explore different avenues to get more business and grow my company. One thing that seemed to pop out of nowhere was Thumbtack. It originally started in 2009 but it seemed in 2012 and 2013 it had gained a foothold in the DJ market. I started to check it out more because search wise it was starting to appear on the first page of organic Google searches. I created an article, part in due to the Thumbtack-type customer to try to explain what a typical price of a quality DJ is (Why do DJ Prices Vary) which happens to be here in the Hudson Valley between $1,299 – $1,732+. It actually worked on one of the clients I was quoting to, but for the most part, if you are in the expected pricing tier the average Thumbtack client is going to think you are too expensive. The prevailing evidence is that Thumbtack is a pretty bad choice to spend your advertisement dollars. Worse Thumbtack helps to bolster the idea that DJs should be cheap given cheap DJs are hawkish on the site. Wedding Expos have been around for ages and for a long time it was the go-to place to see a bunch of vendors at once so you could contrast and compare from the crowd. However, in my experience, a lot of brides and grooms were either budget shopping or already had their DJ selected. Again I can’t stress enough that your results may vary, but the only real value I have had in Expos is networking with other vendors, which is valuable but there are other less-costly ways to do that. Unless you have no other good way to network you may want to stay away from Expos. Advertisement money can be a real head-scratcher. You want to measure your performance and determine the best ones and stick with it, but there are ancillary benefits to some forms of an advertisement than others. My advice it to experiment. There is no silver bullet out there but there are some that are money pits and also some hidden gems out there. Find your right formula that works for you! Editorial Note: Wedding Expos vary greatly by region, the author’s experience may be way different than yours. Author Biography: Lou Paris of Paris Creative Lou Paris has been DJing since 1988 and has a deep passion for music of all styles and genres and became a wedding DJ in 2012. Coincidentally, Lou is also a successful 20+ year IT professional and has merged many technology concepts to ensure a successful night of entertainment.